The operator of a horse farm on a Maine island says she's concerned about the future of her animals because of a dispute over a lease. The Portland Press Herald reports the city of Portland ordered the shelters at Jeanann Alves' Horse Island Camp demolished during a permitting dispute. Alves says she can't rebuild them until she has a new lease. Alves has run the camp on Peaks Island for two decades. Her landlord's attorney says an agreement is coming soon. However, Alves says she can't afford to new terms along with the replacement costs for the shelters. Alves says she's concerned about the possibility of her horses being taken away. 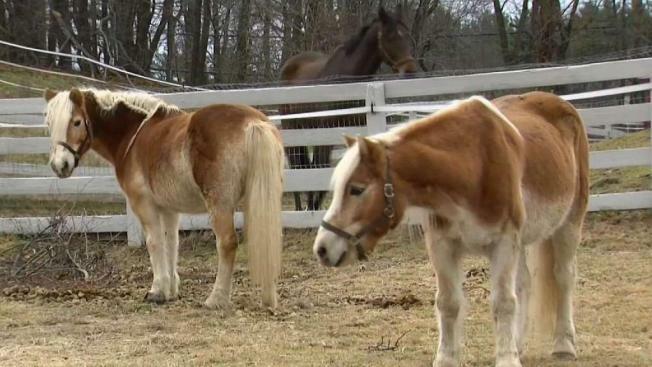 She has brought rescue horses and disadvantaged youth together at the farm since 1998.